At Fine Art Bartending Vancouver, we are always on the hunt for bartenders that want to share a little of their worldly experience with young, moldable minds? These individuals aren’t just bartenders, but teachers that have a passion for their craft. Ideally we are looking for bartenders that have spent some time in many roles throughout the hospitality industry. People that have snagged a bartending job while travelling small chunks of the world, and now just want to settle in Vancouver and put down some roots. We are a small bartending school, located right downtown. Reliable & punctual bartenders is what we need to lead our bartending classes. 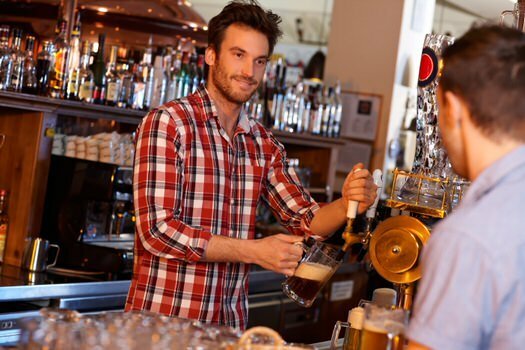 This position fits best with bartenders who have another bartending job to pay the rent. Think of this as an easy side gig to make some extra cash whiles seeing the smiles on students faces! The challenge is fun, and note that the students can range in age from 19 to 50+. Some students have never had a drink before, others are seasoned beverage consumers and know just enough to be dangerous behind the bar. What now is your favourite drink, and why? Have you ever taught or mentored anything? If so, what? Why do you call Vancouver home? Have a look at our Facebook Page and of course the rest of this website for more information. Our students love great instructors. Come mold some minds with us, and teach bartenders what they should be doing behind the bar!